There will be 250 swimmers from 10 coun­tries that will participate in the 2018 Jun­ior Pan Pacific Swimming Championships on August 23-27 at the Damodar Aquatic Centre in Suva. This was confirmed yesterday by Fiji Swimming general manager David Dugu after they received $10,000 from sponsors Hot Bread Kitchen. Dugu acknowledged Hot Bread Kitchen for their support towards the competition. 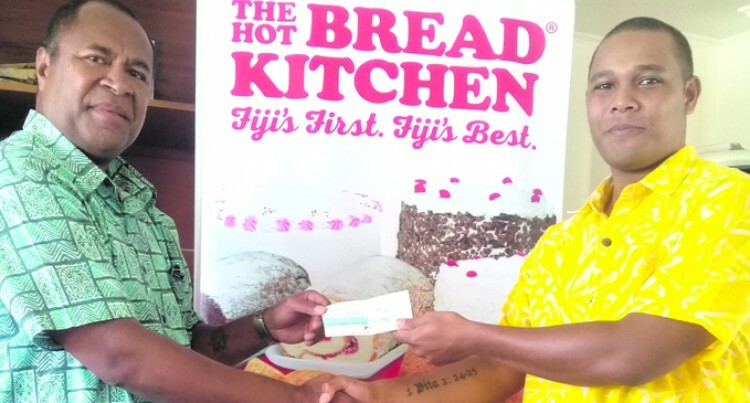 “We’re very grateful to Hot Bread Kitchen for coming onboard as one of the sponsors of the 2018 Junior Pan Pacific Swimming Champion­ships. “To host something like this we need to have re­sources. The countries that will be participating include some of the world’s big powerhouse in swimming. “This competition is special in the sense that we’re going to be see some potential swimmers that will soon be swimming at the Olympics or at the Commonwealth Games. Dugu said Fiji’s 38 swimmers is going to named today in Nadi. Hot Bread Kitchen chief executive officer Sepeti Tagilala said they are grateful to be associated with swimming. “We’re very excited to be part of Fiji Swimming as they are part of our community,” Tagilala added.